Here’s an interesting update from Austrian. 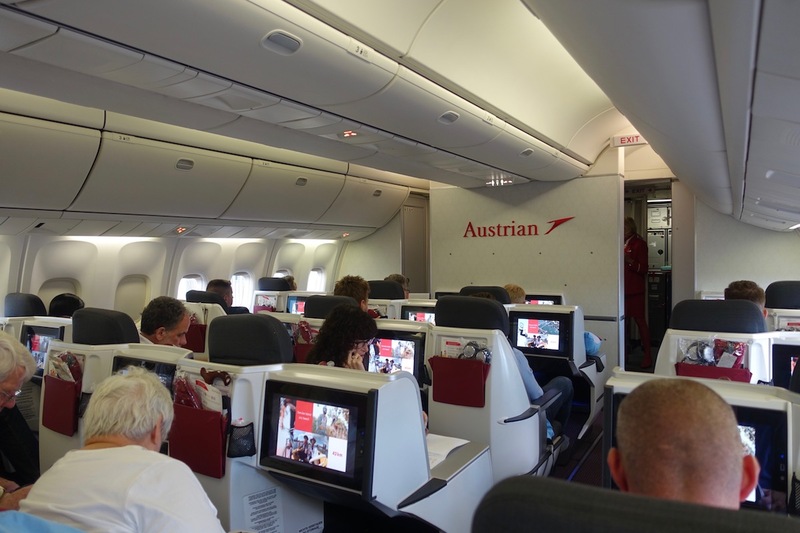 Austrian Airlines will be launching flights between Vienna and Montreal as of April 29, 2019. The airline will operate this flight daily throughout the summer schedule, and 5x weekly in winter. As of the time of this post, the new flight to Montreal is bookable, though I don’t see any award availability yet. With this change, Austrian, Lufthansa, and Swiss will all be flying to Montreal, from Frankfurt, Munich, Vienna, and Zurich. Austrian has a fairly small longhaul fleet, so not surprisingly, this new route is coming at the expense of another room. Austrian will discontinue flights between Vienna and Toronto as of April 2019. As of the time of this post, the Air Canada flight to/from Vienna isn’t bookable yet. Keep in mind that Air Canada, Austrian, Lufthansa, Swiss, and United all have a transatlantic joint venture, meaning that they share revenue on flights across the Atlantic. I do find the decision to switch the Austrian flight from Toronto to Montreal, rather than just launching an Air Canada flight from Montreal, to be interesting. It sounds to me like they’re acknowledging that Toronto is still a more lucrative market here, since they’ll have a 298 seat Air Canada 787-9 flying to Toronto, and a 211 seat Austrian 767-300 flying to Montreal. Obviously the addition of a Montreal to Vienna route is great news for passengers traveling between the two cities. However, for those flying between Toronto and Vienna, is the swap from an Austrian 767 to an Air Canada 787 good news? In business class I’d say so. While Austrian has excellent catering, I really am not a fan of their 767 business class seats. 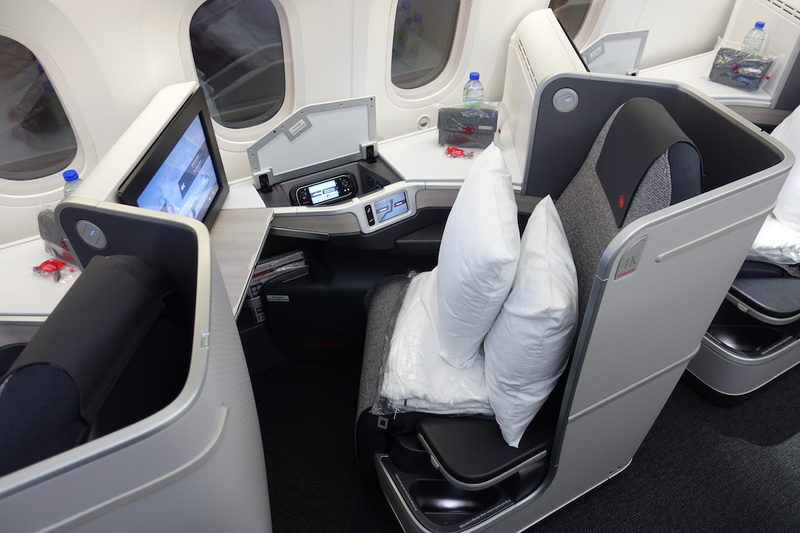 Meanwhile Air Canada has excellent reverse herringbone seats in business class, and generally good food and service. In economy it might be a negative change, though. While the 787 is a more modern plane, seats are tighter than on the 767. There’s still something nice about the 767 in economy, given the 2-3-2 configuration. What do you make of Austrian’s decision to switch their only Canada flight to Montreal? I too really like the 2-3-2 economy configuration on the 767. The 767 offers the benefits of a wide-body but without the problems associated with flying on larger capacity aircraft (ie. delays in boarding/deplaning). Typo in the first part, 2019, not 2018. Nice to see this added flight. Was thinking of going to Vienna next summer so a direct flight would be nice. It will add a few options for business travel as well. @ Cedric — Whoops, thanks, fixed! Montreal is a great city for bachelors interested in attractive ladies unlike Toronto where most night events look like sausage fests. OK this one will affect me. 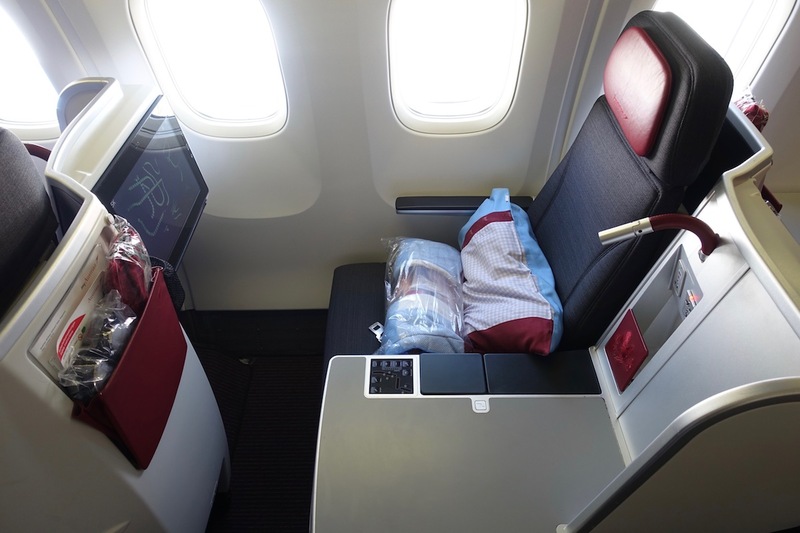 I have an Aeroplan reward booked (in business class) on Austrian Airlines from YYZ to VIE for July 2019. I paid 55K Aeroplan miles + about CDN $430.00 in surcharges/fees. Will Air Canada switch me to their flight? I noticed that the flight times are the same, leading me to believe the two airlines are doing some kind of codeshare swap. Moreover, I have been researching return flight options (not booked yet as I’ll be returning from MUC and I want better scheduling ) and I noticed that as of this morning the Austrian reward itineraries through VIE have been replaced with AC itineraries, also at identical times. The schedule looks like the Montreal flight will be operated by a Montreal based plane. Are you sure you got this right? @ Yannick Laniel — The plane is based in Vienna, it just sits in Montreal for a few hours to maximize connectivity in both directions. @ Adil — Fixed, thanks! Solid airline… I flew coach but had a bulkhead seat right behind Premium Economy and it was great. WOW! What a downgrade for both Y and J on YYZ-VIE. Thank you very much for the information. Any news about Austrian flying to SFO or SJC? The Silicone Valley is full of wealthy business and leisure travelers. Swiss and Air Canada have the same set-up : Swiss is flying from Zurich to Montreal and AC is flying Toronto-Zurich. AC flies to mostly French speaking European and North African cities from Montreal (Geneva, Brussels, Paris, Lyon, Marseille, Nice, Bordeaux, Bucharest, Casablanca, Algiers) and then some rather “latin” destinations (Rome, Athens, Barcelona, Venice, Lisbon), few business destinations (London, Frankfurt) and other leisure destinations ( Dublin, Reykjavik). The swap with Vienna does not come as a surprise for me. An update on Aeroplan redemptions affected by this airline change – I called Aeroplan today and they informed me they received a notice from Austrian Airlines cancelling my July 2019 flight YYZ – VIE and Air Canada has agreed to honor my business class reward ticket with no additional charge because they took over the route. The agent even asked my seat preference. I had a new itinerary in my email within 2 minutes of hanging up. They said I had been “pre-protected” after the change which is a new phrase to me. 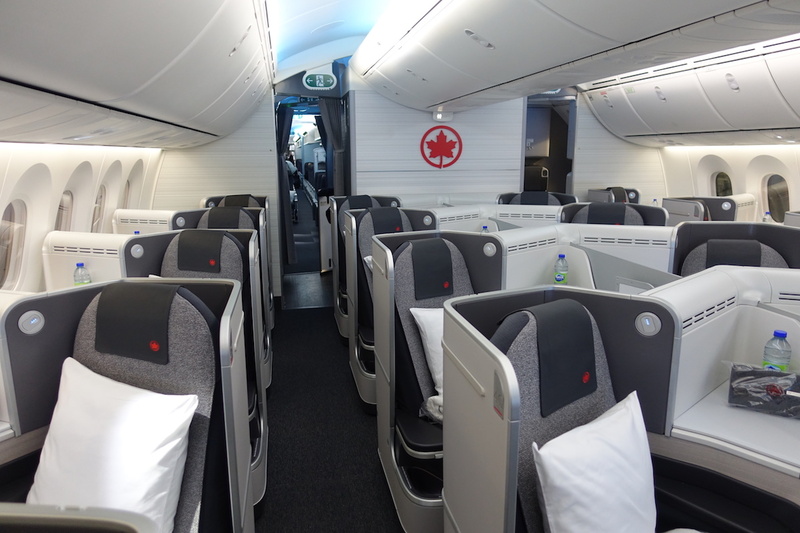 This works out great because I was booked on the Austrian 767 (Lucky said the bed was a tight squeeze) but now I’ve got a flat bed on the Air Canada 789 Dreamliner – bonus! And since Aeroplan is currently showing this flight available to redeem for an absurd 3/4 million miles, I’d say today was a good day. LOT Polish launching 5x flights between NY and Budapest is great news. And yes, Budapest is a part of the travel bucket list of many Americans. It would have been great if we had more options to choose from. I am currently in Montreal and planning an Austria-Switzerland trip with my partner. There couldn’t have been better news. Thank God I wouldn’t have to drive all the way to Toronto to catch that Austrian flight. I just booked the YUL-VIE flight in J for my family of 4 on points… lots of availability in summer 2019. Do you know if the catering will be done in VIE or by YUL? I’ve read that OS’ catering when flying into VIE isn’t significantly worse than flying out of VIE… wasn’t sure if this would apply to the new YUL-VIE flight too though.